A rare opportunity to join the array of businesses at Corsham’s popular Leafield Estate has arisen. 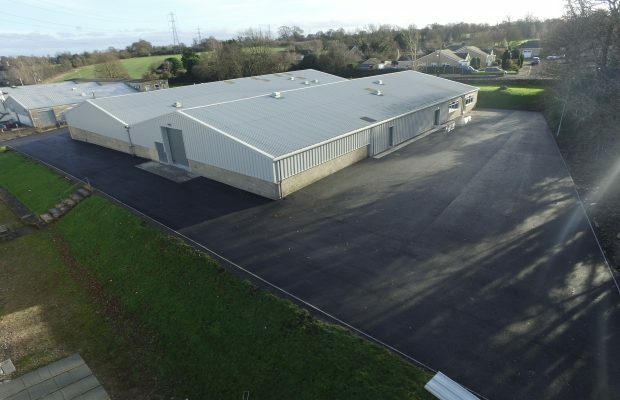 At a time when quality industrial space is hard to come by, HPH Commercial Property is promoting 3 Leafield to let, with the possibility for a business to purchase the freehold of the building in the future if desired. There is huge demand across the region for modern, fit-for-purpose industrial units but supply has been limited in recent years. 3 Leafield offers potential occupiers 20,660 sq ft of flexible space including an open plan clear area with good quality refurbished offices as well as a newly installed electrically operated loading door and newly resurfaced external areas. The property also benefits from a range of energy efficient improvements such as new double-glazing, upgrades to the boiler and central heating system, new insulation and LED lighting throughout. These measures will help to ensure that any business moving into the unit will take advantage of lower energy bills, allowing them to reduce their overheads and run their operation more efficiently. Alison Williams, Associate Partner at Carter Jonas, said “Given its close proximity to Chippenham and access to both Bath and the M4 the Leafield Estate has always been a particularly popular location for a diverse range of regional and national businesses. At present it’s bursting with vitality with very little business space available. “There is a real demand for quality industrial and warehousing units in the region, and 3 Leafield provides potential occupiers with a fantastic opportunity. The unit has been refurbished to an exceptionally high standard, and the new energy efficiency measures are a welcome addition for any business wanting to keep their overheads low.